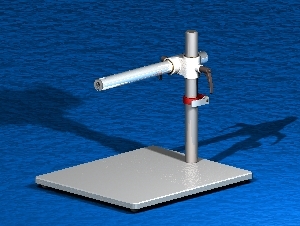 Standard weight base stands represent the most common stereomicroscope stands. Feature a 10" x 10" x .75" 22lb base with a variety of horizontal boom arms. 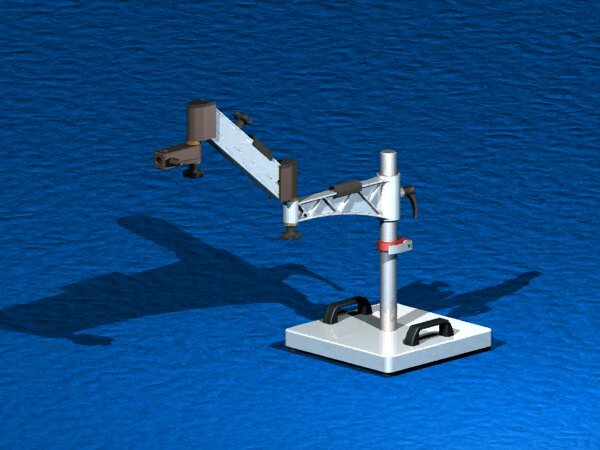 Super heavy base stands represent the heaviest, most stable, "portable" boom stand platform. Featuring a 13" x 13" x 1.5", 73lb. steel base which can accomodate all of Old School's horizontal arms on a massive "portable" base. Workstation stands are the perfect stand where stability, work surface are combined into one assembly. 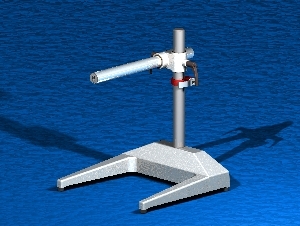 Heavy base stands represent the standard boom stand form for common stereomicroscope stands, only with a heavier base. Feature a 10" x 10" x 1.25" 35lb. 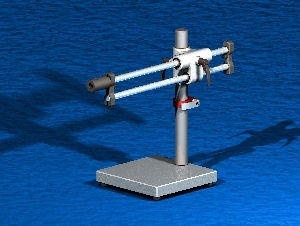 steel base with a variety of horizontal boom arms. The unique design of the U-base offers a superior light weight base with a tip over weight of a much larger and heavier base. A generous work space of 16 inches is available between the legs of the base. Tilting And Non-Tilting camera mounts for use with digital and video cameras.